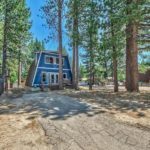 709 Los Angeles Avenue, South Lake Tahoe CA offered at $489,9006 BLOCKS TO THE BEACH! Classic, Popular Tahoe neighborhood & only 2 blocks to the meadow for wonderful hikes and snow shoeing. 5 minutes to Heavenly and the casinos. This great Tahoe cabin has a remodeled kitchen, newer laminate floors and a great open floor plan with plenty of room for large groups. Currently this spacious cabin is a successful vacation rental. Come take a look today!...Continue Reading! 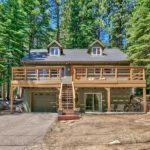 1948 North Upper Truckee Road, South Lake Tahoe CA offered at $599,900Have you ever dreamed of owning a home like you see in designer magazines? Now, is your opportunity to be the fortunate new owner of a popular Northern Cal designer and curator of Sacramento Galleries, Judy Smith's spectacular residence. This home is one of a kind with unique high end mountain features throughout. Don't let the simple entry fool you. Once you enter you will have...Continue Reading!